This is one of the cutest historic homes I have shown in a while. I had previously written a post about this home on my Sanford365 Blog but since the homes was just reduced again I thought it would be worth posting it here as well! At $150,000 this home is simply a steal! 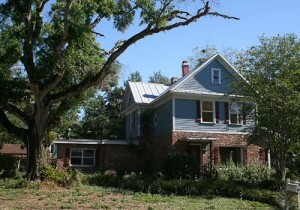 It sits on a great corner lot on Oak. I loved the romantic look of the home with those beautiful brick pavers leading to it. And isn’t the combination of white trim, red shutters, blue wood siding and brick walls adorable! Surrounded by those trees, this home could have come just out of a fairy tale! If you like homes with character, this is your best pick right now! The total living square footage is 2,750 (3/2) which includes a detached 1/1 carriage home/garage apartment w/ kitchen (great rental and perfect as in-law suite). The home also has a 2 car block garage with workshop space. This beautiful historic homes features a fireplace and real wood floors. The little brick patio is perfect to enjoy some company on warm Florida nights. 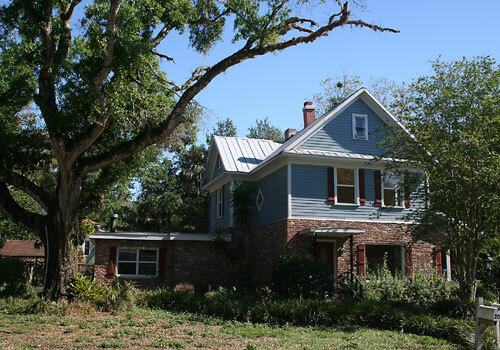 Needless to say, whoever buys this home will be the proud owner of a true gem in historic Sanford Florida. Send me a quick message in case you’d like to see the home or want to receive more info, who knows, you could be that new lucky owner. Not quite what you’re looking for? 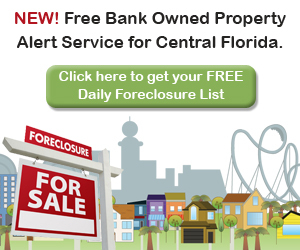 Take a look at the property slider to your right and browse more historic homes for sale in Sanford FL. Looks like a great home. Can you send me more info on taxes? Thank you!